The recipe is essentially gluten-free which is even better. I leave out the flour altogether but I prefer a thinner soup. When I made my tomato dill soup today I substituted rice flour thinking it might balance some of the acid and I think it does. Cliff grows these amazingly prolific Jumbo Stuff Peppers from Stokes seeds. Check out the size of the peppers this year! This recipe came from Maria Olariu and is a Romanian favourite I’m glad she shared with us. When they eat this hearty main dish they cut open the peppers and eat the meat filling, discarding the pepper shell which has already flavoured the dish. We usually just cut the pepper shell and meat filling altogether into the soup. Invert and drain while preparing stuffing. To make the stuffing, mix the ground meat with the rice (uncooked), minced onion, salt, pepper and eggs until evenly combined. Stuff the peppers with the prepared mixture. Place the peppers upright in saucepan large enough for the peppers to fit snugly with room above for broth. I use a 4 qt, 8 inch diameter pot with a lid. Pour the tomato juice or paste with water over the peppers in the pot. You may add a little water to cover the peppers but I use only juice. Bring to a boil and simmer on low heat for about 45 – 50 minutes. Stir in parsley and marjoram. Whisk cold water with flour until smooth, stir into tomato broth and cook 5 minutes to thicken if desired. 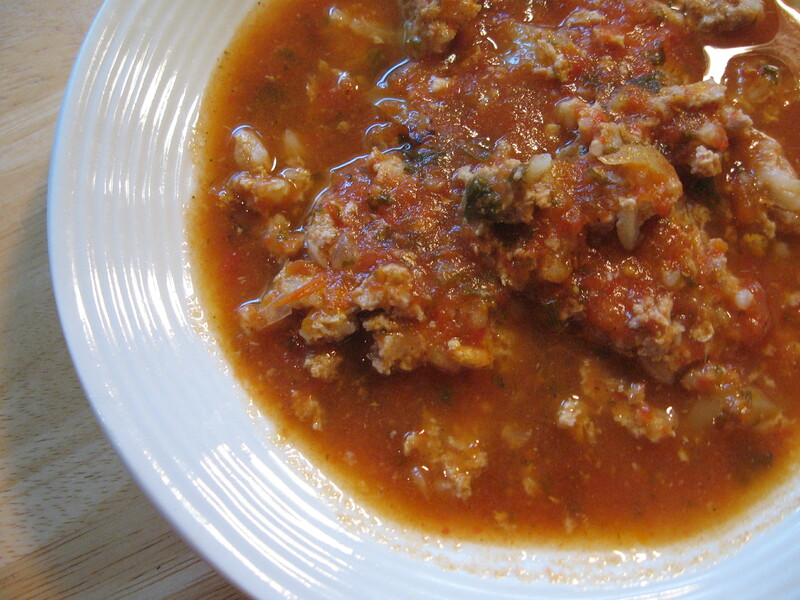 Serve in a bowl with tomato broth overall. Cut peppers open and remove outer pepper shell according to your preference. It is the best time of the year for eating fresh and local so I am overwhelmed with posts I want to get done and no time to do them! I was part way through the prep for the Romanian Peppers when a friend called to ask if she could post the salsa recipe on Facebook so I told her I would get it on the blog asap. Here is the printable copy of the original salsa recipe based on Ruth Buchmeier’s recipe in Anne’s Favourites Salsa (click here for pdf of original recipe). 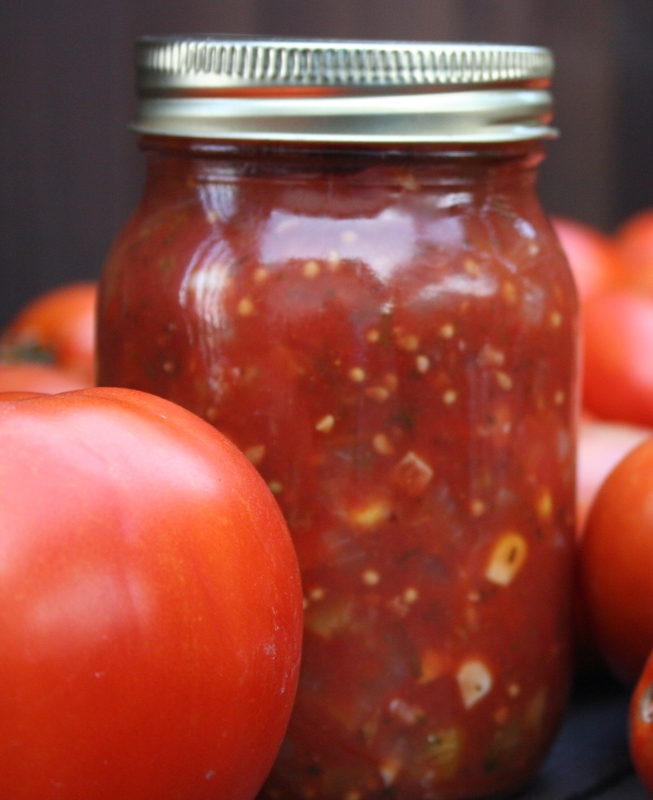 The last couple of years at the Lucknow Fall Fair http://www.lucknowagsociety.ca variations of this recipe have taken all three salsa prizes. Sadly, mine was not first! I have three versions of salsa in my cookbook but I can never decide which one is my favourite so last year I started making a combination of the three in one which I call my Salsa Supreme. I love the salty flavour and thickness of the original salsa, the added sweetness of the peaches that allows for some extra heat from the peppers and the yellow from the corn tops it off! 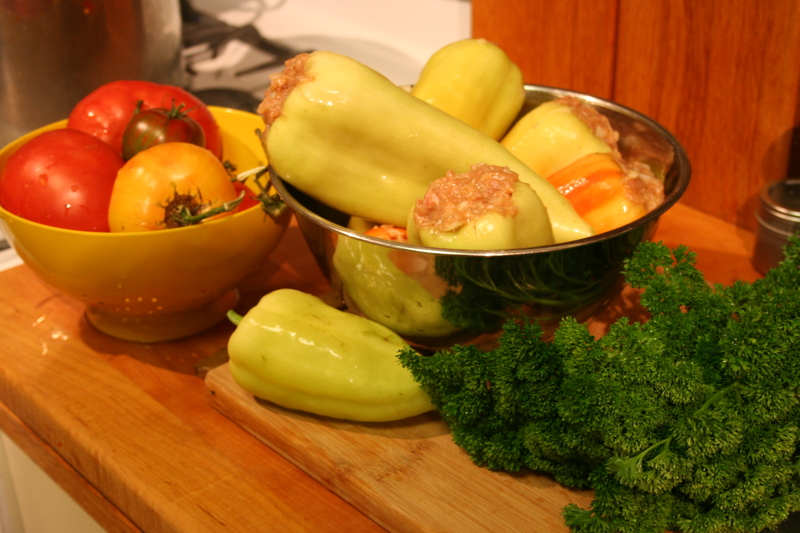 Combine tomatoes, celery, onions and salt and let stand for at least 3 hours or overnight. Drain and save the juice for soup. It is nice and salty and full of flavour. Add peaches, sugar, lime juice, vinegar, garlic, hot peppers and mustard seed and simmer about 45 minutes, stirring often. Add green and yellow peppers, cilantro, coriander, cumin, parsley, lovage and tomato paste and continue to boil for 15 minutes. Do not worry if you add the peppers at the beginning –they will just be a little softer and less colourful – still delicious. Pour into sterilized jars and seal according to manufacturers instructions.